The Sony Xperia Z, which has just been made available in Japan, has undergone a quick battery test in the hands of the Russian Hi-Tech Mail news portal and the results from it aren’t all that bad. 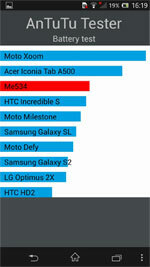 The battery of Sony’s Android flagship has been put through its paces using the AnTuTu Tester app and has outperformed the likes of the HTC Incredible S and the Samsung Galaxy S II. That’s a good start. No further details have been provided, but considering that the Galaxy S II managed to squeeze 40 hours endurance rating out of its 1650mAh battery, you should probably expect the Xperia Z to be able to top that with its 2330 mAh unit. 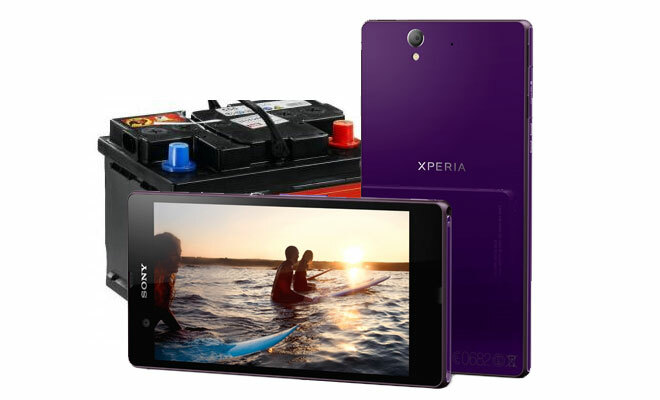 Mind you, the Xperia Z boasts a quad-core CPU and a full HD display, making its achievement all the more impressive. However, in order to fully see how far the battery of the Xperia Z can go, we should fully examine it in our own battery test first.